The EPCTEK 50000mAh External Power Bank Charger is a versatile portable power device which is compatible with Apple iPhones, iPod Touch, iPad 1 to 4, New iPad, HTC smartphones, the Samsung Galaxy mobile phone range, Blackberry devices, plus most Nokia and Sony mobiles. Despite the huge capacity, this power bank is small and convenient to carry for your charging needs wherever you go. The Dpower 50000mAh External Power Bank Backup measures just 15cm x 7.8cm x 2cm, so is easy to carry and charge conveniently. With dual USB outputs you can charge two mobile devices simultaneously, one at 2.1A and the other at 1A. This unit takes around 8 hours to fully charge up from the mains and is capable of being charged over 800 times for a long service life. The Ultra Slim 50000mAh Portable Charger from UKOUTLET is capable of charging an iPad 2 once, or an iPhone four to five times. 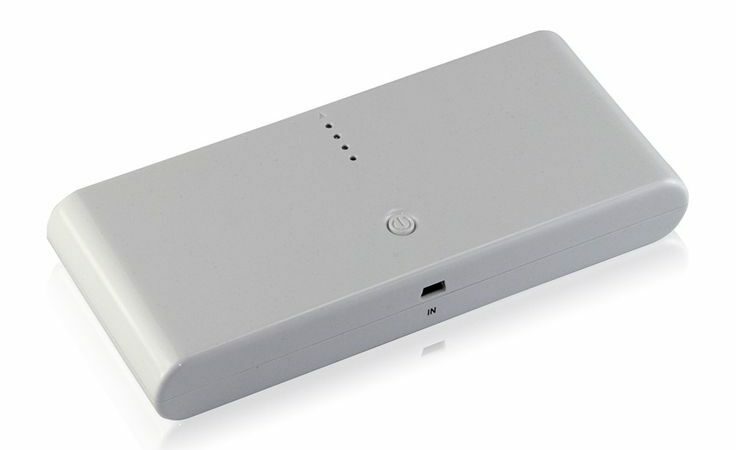 This external battery power bank is compatible with most Apple devices and almost all Android devices on the market – in fact any device with a USB charger is likely to be compatible. This device is so compact that you can easily carry it while plugged into your phone and charging -it looks good too with a modern and stylish design. A Mini USB cable is included which also charges up the power bank itself.